DP Review, one of the go-to sources for reviews, guides, discussions, and even periodic photo challenges related to all types of photo gear, recently published their own exhaustive review of the Nexus 5 on DP Review Connect, the mobile-centric arm of the site. The review covers everything you could possibly want to read about the Nexus 5's camera, digging deep into its features and flaws (there are many in both columns), why we don't exactly have the great photo experience many expected, and providing tons of sample images in all scenarios. As with any DP Review piece, it's hard to overstress the fact that the review is in-depth, objective, and well worth looking at. The short version is that, as we'd expect, the camera does well in good conditions, and can even do alright in low light as long as nothing is moving too much. 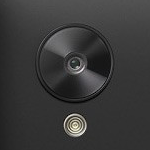 The downsides come primarily with the camera app and its controls which lack functionality, take time to start up, and have their own set of UX problems. To check out the full review (and you definitely should), hit the link below.